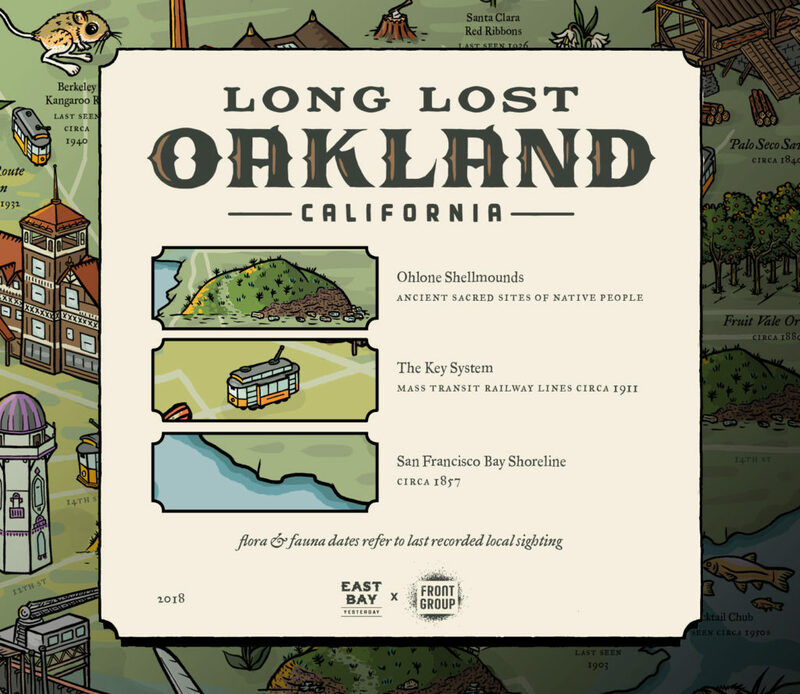 Long Lost Oakland is a collaboration between East Bay Yesterday and T.L Simons. 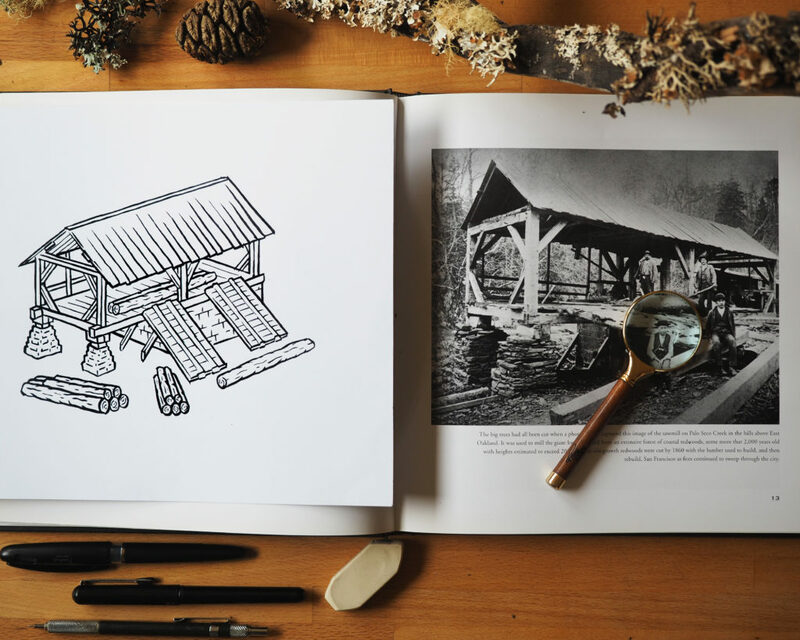 It consists of a podcast mini-series, free events, a walking tour, and a hand-illustrated, poster-size map. 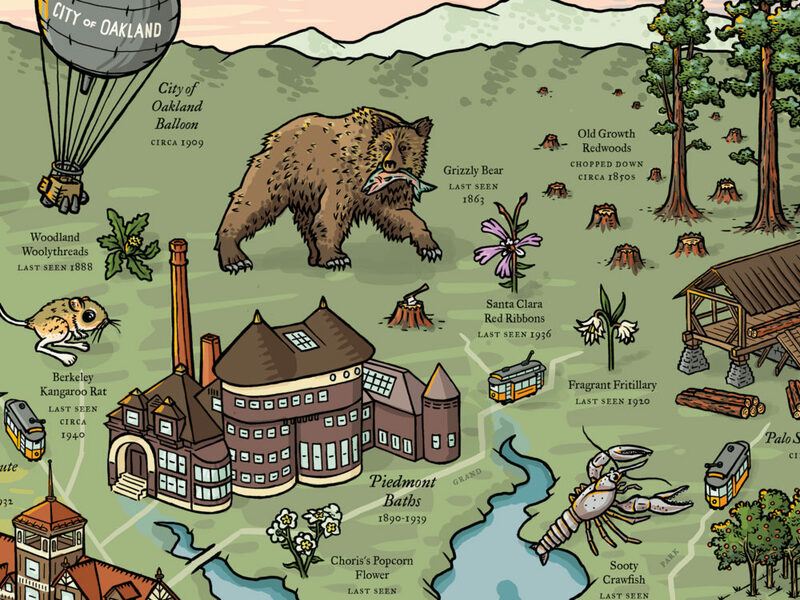 The map includes an array of geographic features ranging from buildings and infrastructure to plants and animals. 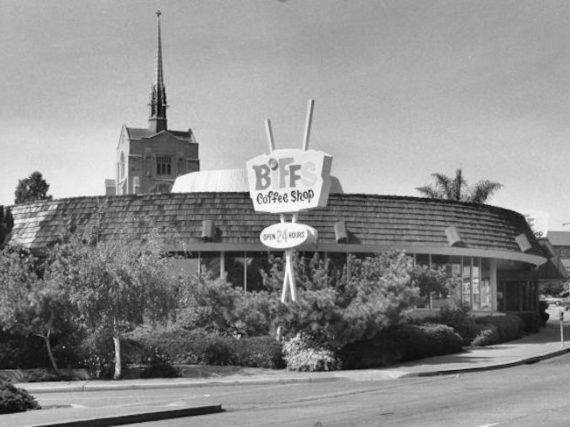 The unifying theme of these objects is that they once existed in Oakland, but don’t anymore. 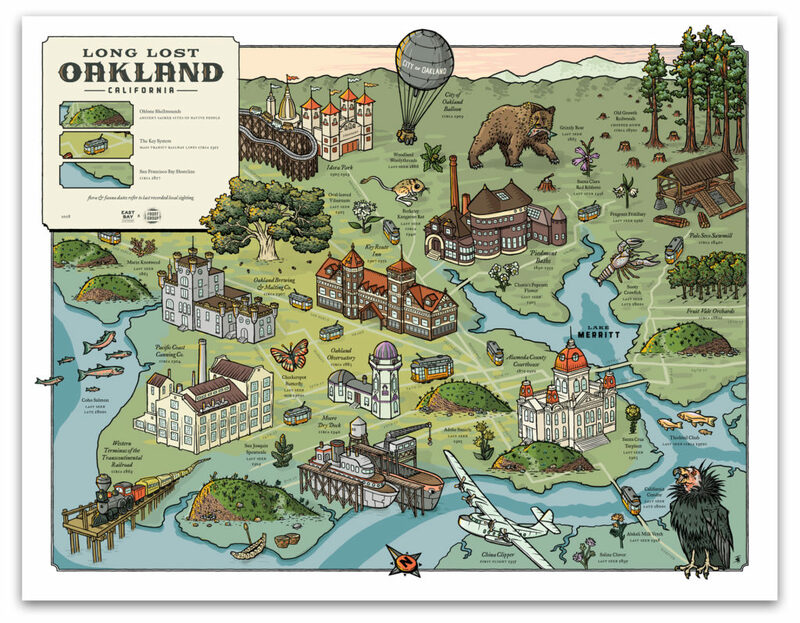 This poster-sized map is now available to purchase at E.M. Wolfman Bookstore on 410 13th St. in downtown Oakland. 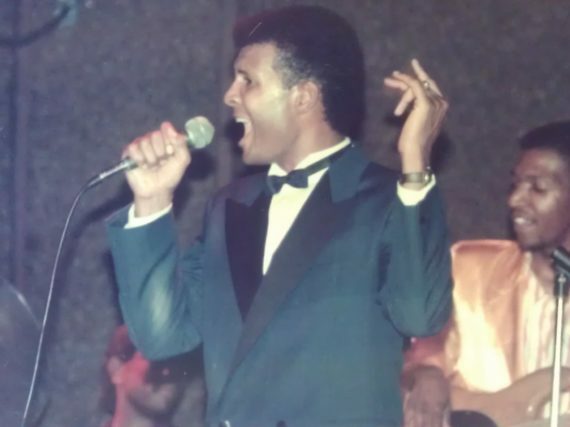 This project isn’t about evoking nostalgia or romanticizing past eras. 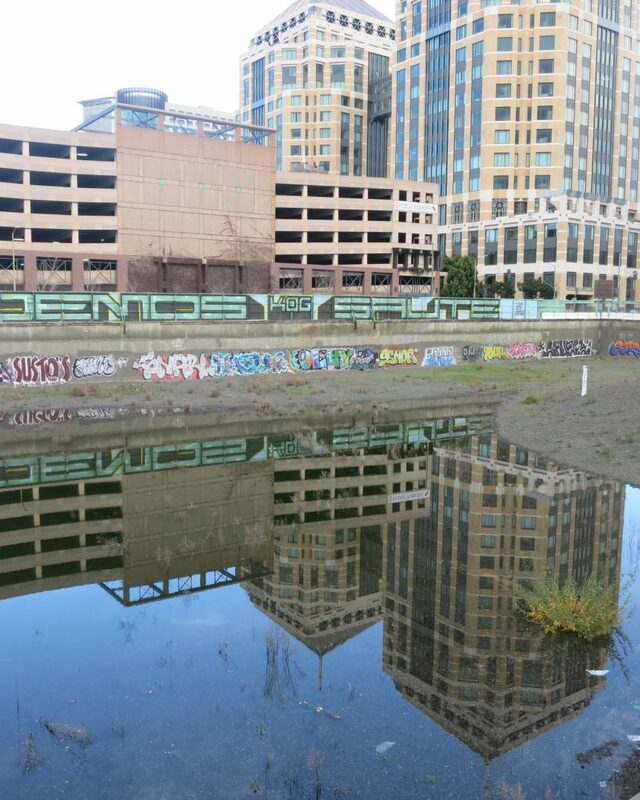 It’s about trying to make sense of the constantly shifting nature of Oakland in the midst of this moment when we can look around and literally watch the landscape of our city change before our eyes. 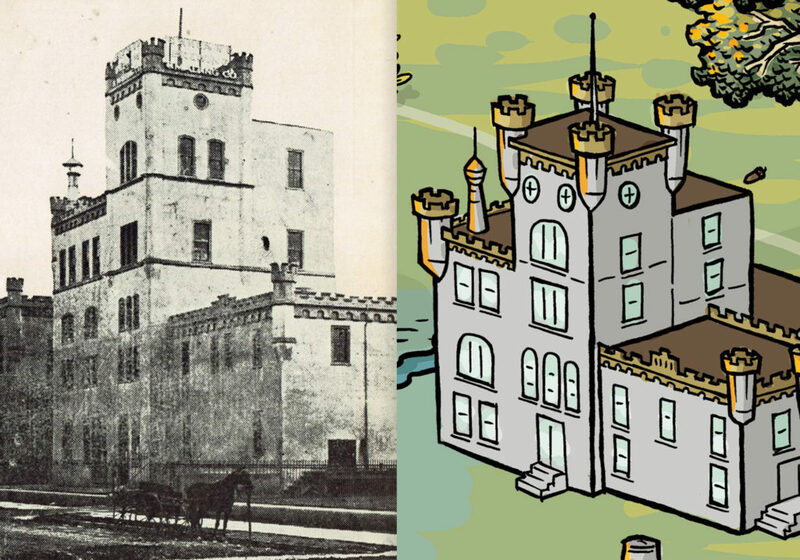 Our hope is that this project will help explain how our past connects to the Oakland we live in today and the future we may be living in soon. “Illustrating this map by hand over hundreds of hours has been a meditation on the place I have chosen to call home for much of my life. It has been a way to look beyond the immediate transformations that I see everyday and to understand them as contemporary manifestations of much longer processes that extend back to the earliest days of European colonization. Acknowledgements: This project would not have been possible without the work of many other Oakland historians, upon whose work we built. Special thanks to: Dorothy Lazard, Kathleen DiGiovanni and the rest of the wonderful staff at the Oakland Library’s History Room. Gene Anderson and everybody who contributes to the Oakland Wiki. Ranil and Ross at Community Printers, The Oakland Museum of California, the African American Museum and Library of Oakland, Oakland Heritage Alliance, Dennis Evanosky, Chris Treadway, Betty Marvin, Brian Peterson, Annalee Allen, Bennett Hall, and all the authors who have written books about Oakland history.